The festival circuit is kicking off early in 2019 with south Florida hosting one of the heaviest lineups currently out there. 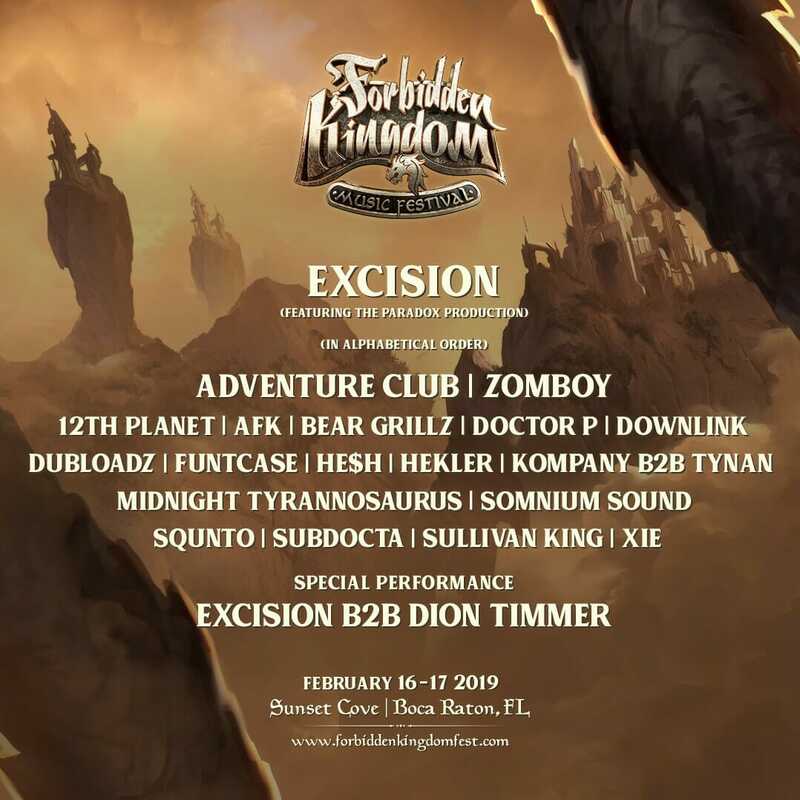 Forbidden Kingdom, a new event coming to Boca Raton on Presidents Day Weekend 2019, has debuted their inaugural lineup, topped by Excision‘s full Paradox production, Adventure Club, and Zomboy. Bass heavyweights 12th Planet, Dion Timmer, Funtcase and Sullivan King also round out the wub-heavy billing, though Forbidden Kingdom is bringing a lot more than rattling low end to Boca come February 16 – 17. The event is aiming to create an immersive narrative for attendees to dive into, launching a full fantasy story line in a 60-page book written to complement the lineup announcement. More books and characters are expected to follow Forbidden Kingdom’s first installment. 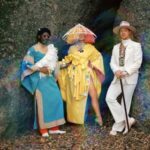 Tickets to the first Forbidden Kingdom are on sale now.